Part One: Fantasy adventure about the arrival of Buddhism in China. When the Goddess of Happiness tosses the Longevity Monk and his disciples out of heaven (because the Monkey King tried to attain immortality), the Monkey King is reincarnated as the Joker. He now spends his time chasing two jealous women. When one of them is dying, the Joker goes back in time in an attempt to save her. 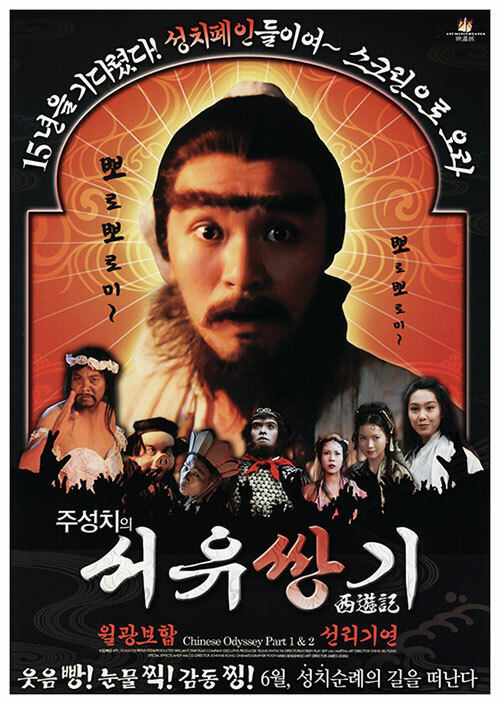 Part Two: This sequel to "Pandora's Box" continues director Jeffrey Lau's adaptation of the Buddhism saga "Journey to the West". Stranded five centuries in the past, Joker Monkey King must battle a variety of monsters, seductive women and super-powered villains to save the dying Pak Jing-Jing. 1 Response to "A Chinese Odyssey Parts One & Two (1994 - 1995) Jeffrey Lau"